I was so sure that I wasn't going to be doing any gift guides at all this year but it's only 6 days until Christmas and I've actually got 2 gift guides to post between now and then! As the title suggests it's all a bit last minute this year! 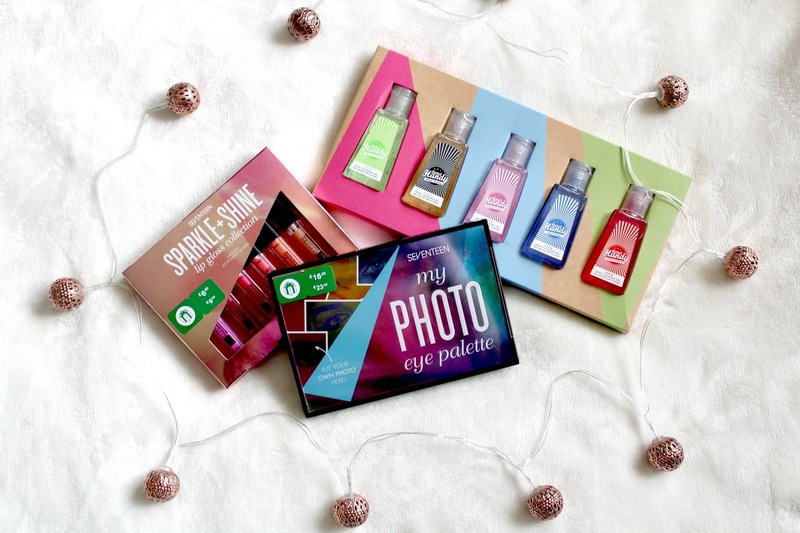 I kindly got sent a few gifts from 2 brands this year though that I really wanted to share with you as I think they would make really good presents, or stocking fillers for beauty lovers. I'm sure there are plenty of people out there that have barely even started their Christmas shopping yet, unlike me who had nearly finished before December even began (not bragging or anything!). As well as these making good gifts for others they are also products that perhaps you'd like yourself so I don't think it's too close to Christmas to be posting this, we all need to treat ourselves too! Seventeen is a brand that I've been lucky enough to work with a lot over this past year and I've really enjoyed sharing their products with you. They are affordable, pretty and good quality so why wouldn't I shout about them! They also have a few Christmas gifts out at the moment too with this cute little lipgloss set being one of them, a bargain at £6 if you ask me. In this set you get 6 Lip Lustre lipglosses in a variety of shades, I'm not the biggest lipgloss fan myself but I do sometimes reach for one so having plenty of shades to choose from is great! I was going to call these mini but actually they are all really decent sizes, perfect for your handbag but big enough that they would last a while. A great stocking filler really! On to another one of Seventeen's gifts! 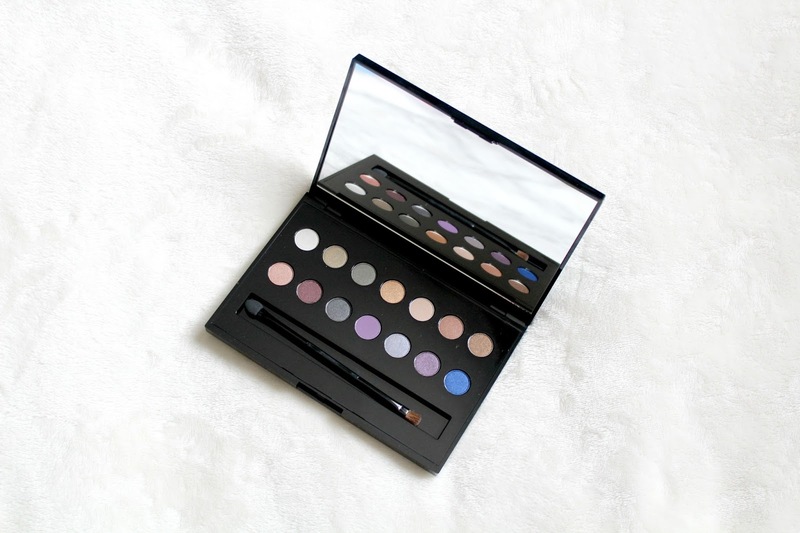 This is a really pretty palette with a twist, you can put your own photo in it! I've seen all these palettes going around that you can personalise by putting your name on them but I've never seen one where you can slot a photo into the lid. This is the kind of thing that I would have loved when I was about 13, a photo of me and my friends on a eyeshadow palette! 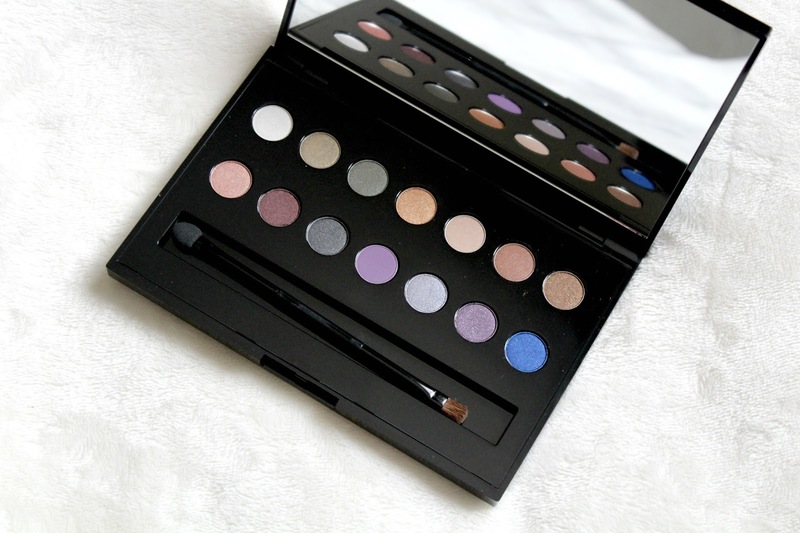 It's quite a sturdy palette and inside you have 14 eyeshadows, they are mostly neutral but there are some darker blues and purples in there too, a great mix for a teenager experimenting with makeup I think. The only thing about this is I think £16 is a little steep, I'd be happy to pay maybe £10-£12 but I'm not sure I'd part with £16 for it. Despite that though I do think it would make a really lovely gift! These adorable little hand gels landed on my doorstep quite unexpectedly, it was a lovely surprise to find them inside the box and I knew I had to pop them in my last minute gift guide. I'm one of these people that really loves mini hand gels, I have one in probably all my bags as you never know when they could come in handy! This little set comes with 6 different gels: Cherie Cherry, Flower Power, New Wave, Black Vanilla and Oh My Lemon. I can confirm that they all smell amazing! Personally this is something that I would love to find under the Christmas tree on the 25th. You can buy these little hand gels in Topshop stores for £2.90 each! So, if you haven't finished your Christmas shopping yet then I hope this has given you some inspiration. Also, hurry up and finish your shopping! These products were sent to me for review consideration but this does not affect my opinion and I'm always 100% honest.